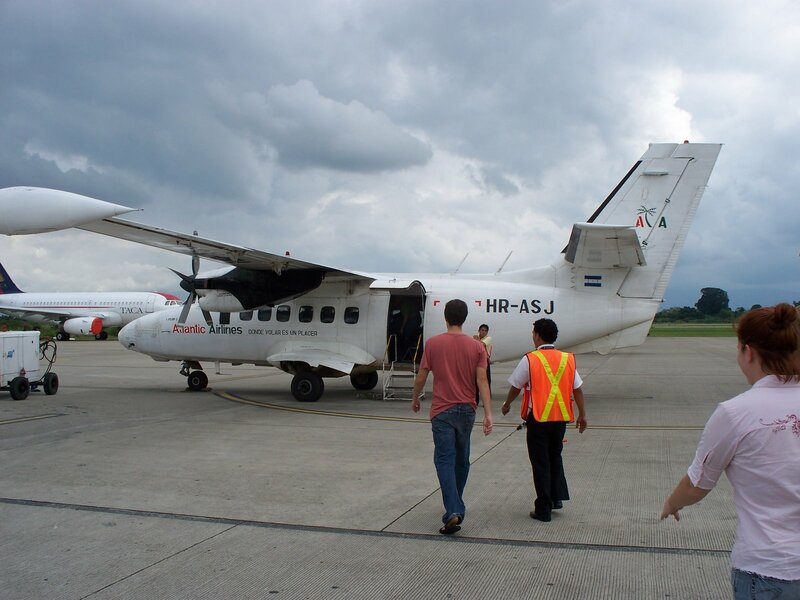 School got out at noon so we caught a 1:50 plane to La Ceiba (a town on the north shore). 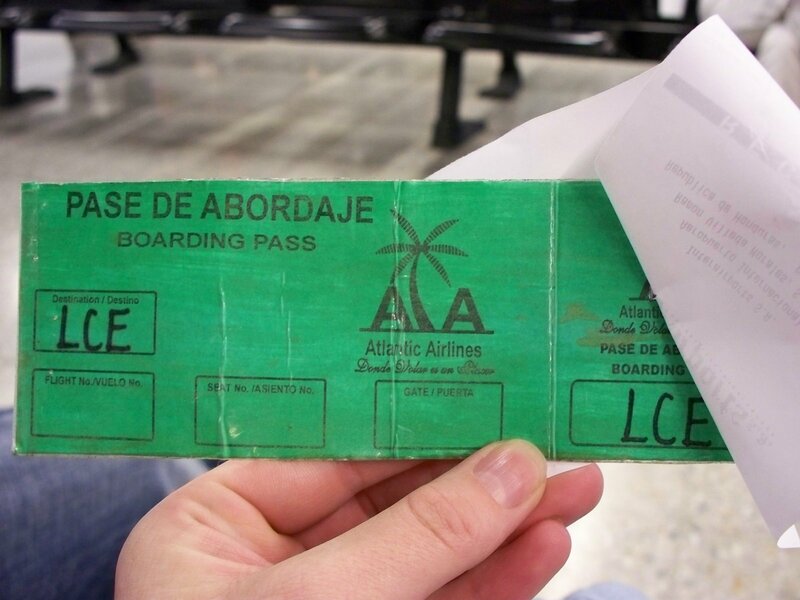 Flying to Ceiba takes about 30 minutes…much faster than the 3 hour bus ride. 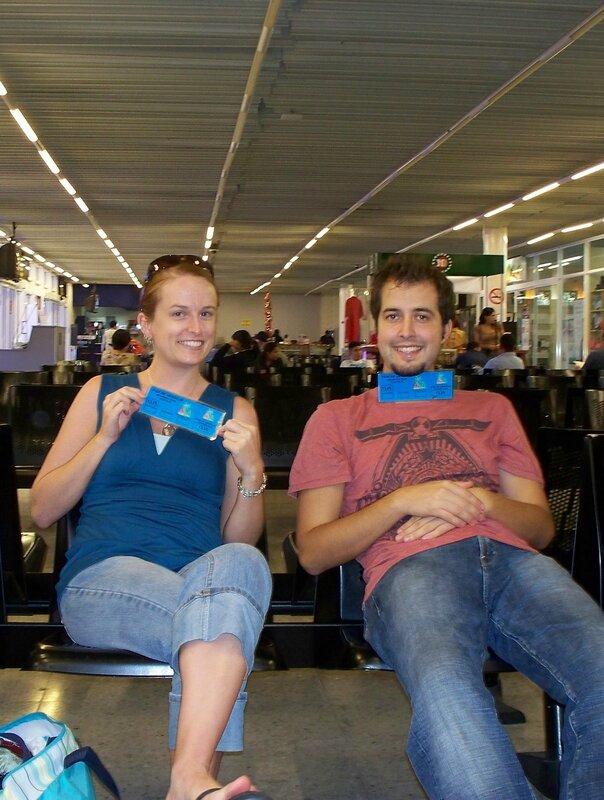 Our boarding passes were laminated and reusable. The plane had one seat on the left of the aisle and two on the right. The pilots entered through the same door we did and we could see into the cockpit from our seats. There was also no air conditioning in the plane which was fine during take-off seeing as the pilots left their windows open. 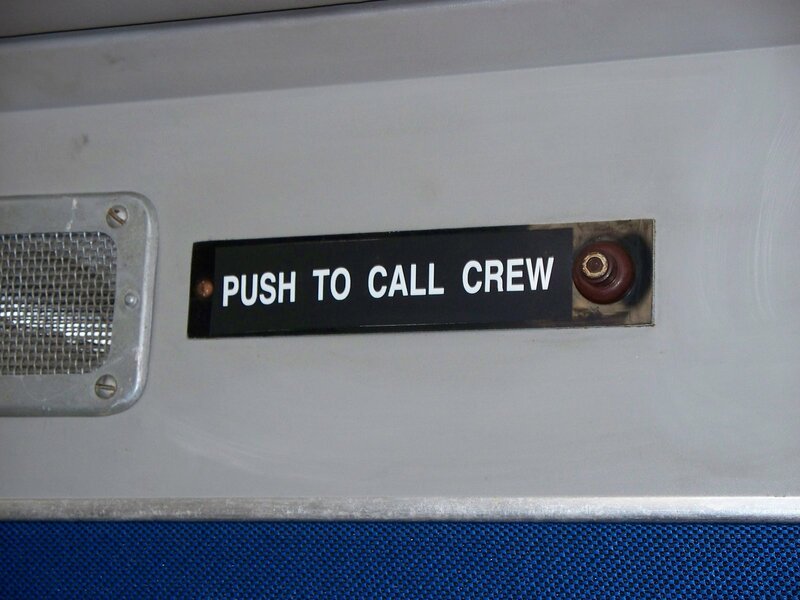 This sign was entertaining, considering the “crew” consisted of the pilot and his co-pilot. I’d prefer not to call them back to my seat so that they can stay flying the plane thankyouverymuch! 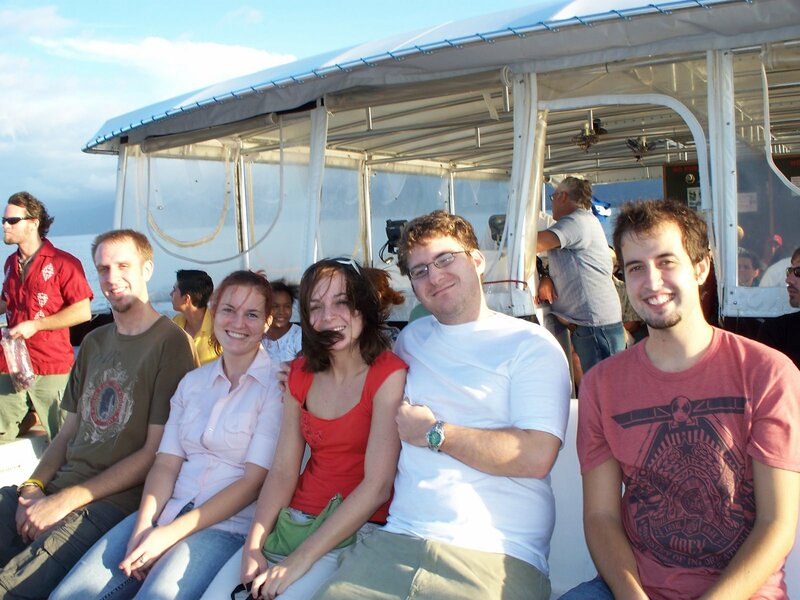 After landing in Ceiba, we took a taxi to the ferry. 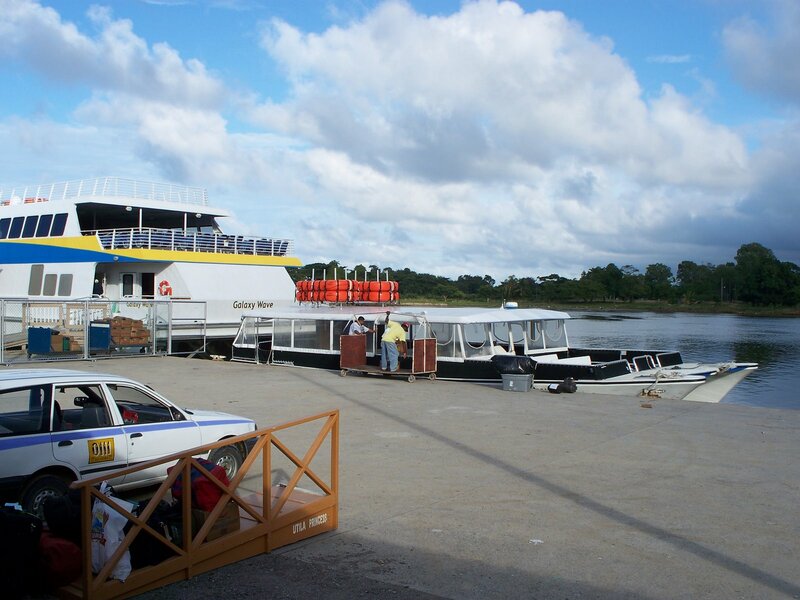 The smaller boat in front is the ferry to Utila. The larger one goes to Roatan. The ferry ride is about an hour. I’m learning the Honduran method of lines (aka there isn’t one) and managed to jump on the boat early in the pack to snag us outside seats on the front of the boat. Here’s Jesse, Jenna, Kim, Ryan, and Alex. 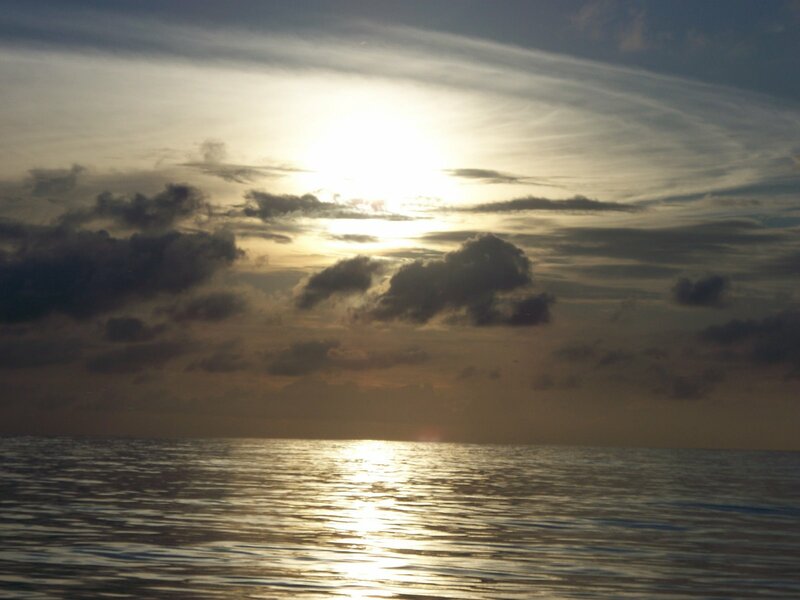 A view of the sun beginning to set from the ferry. 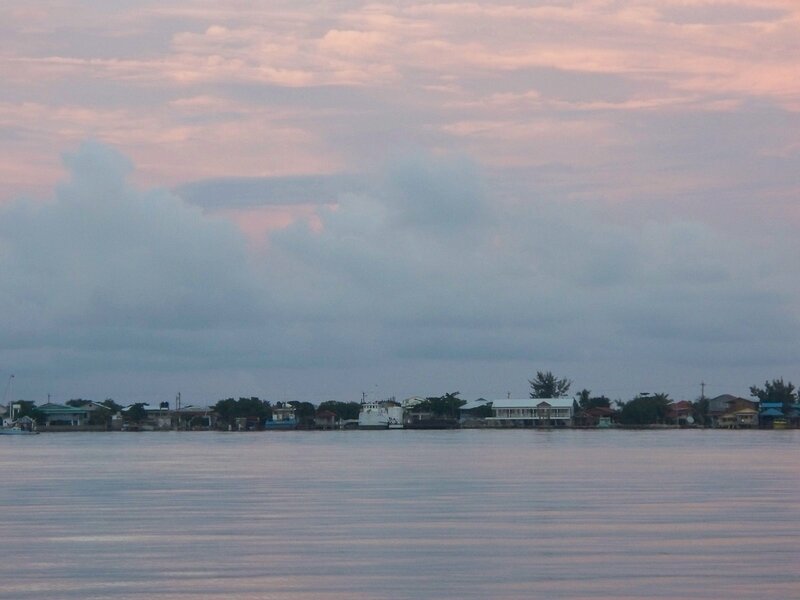 The south shore of Utila. Arriving just in time to drop our things off at the hotel and head out to dinner. Bueno parece que tuvieron un buen viaje, y por lo que veo su grupo posiblemente ocupo todos los lugares del avión. Quizá la proximá vez puedan pedir descuento de grupo. Uno nuncca sabe. Me da mucho gusto que se la esten pasando bien. Me imagino que fueron a bucear otra vez, se está volviendo una adición.